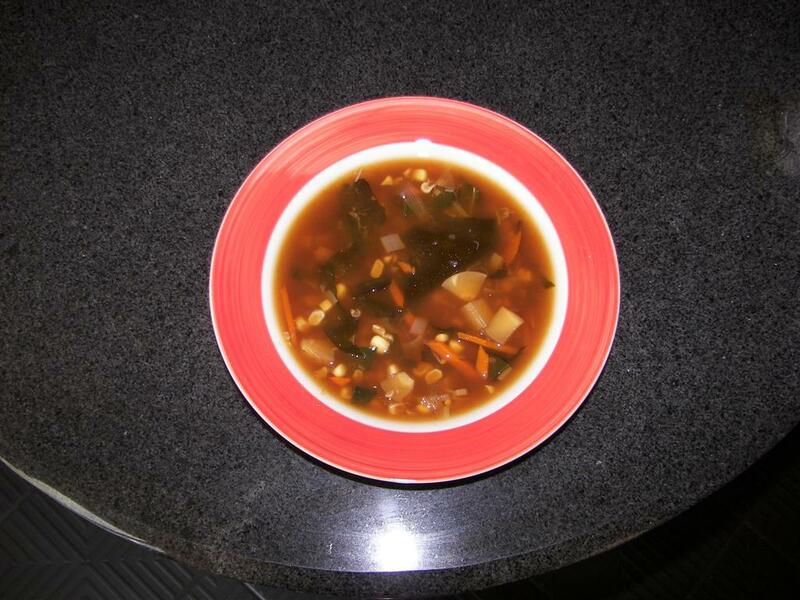 Pour the miso into the soup, continue to simmer another minute and serve with some cut up scallions for garnish. add tofu, mix and cover for 3 minutes, add mushrooms and broccoli, mix and cover for another 2/3 minutes. 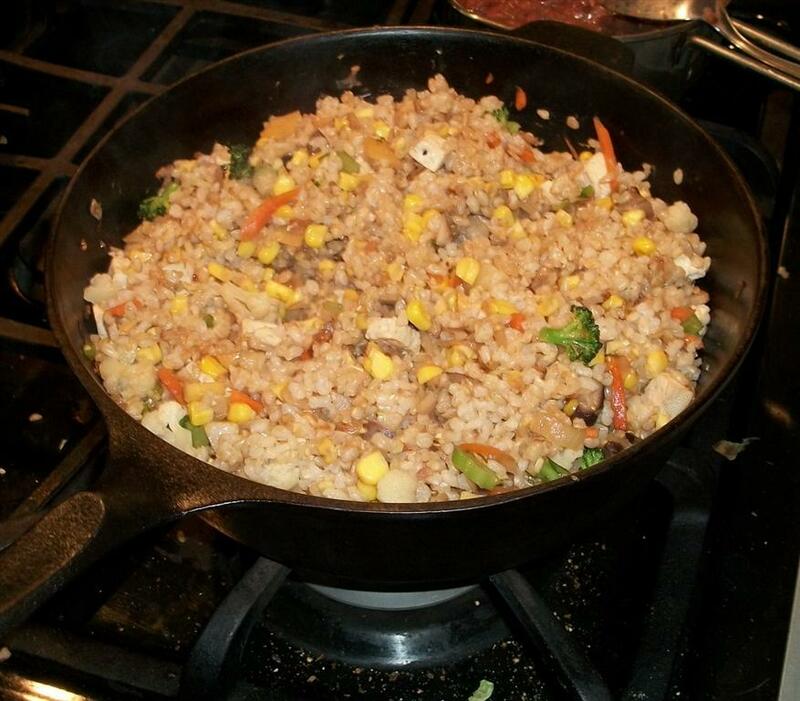 Add rice using your hands to break down the lumps add soy sauce, mix well, cover, and simmer for 10 minutes. add a plate on the salad and a heavy plate over the dish (lay it so that the dish doesn’t touch the side of the bowl) and press the salad for 2 hours. Remove plate, add a Tbsp of vinegar. 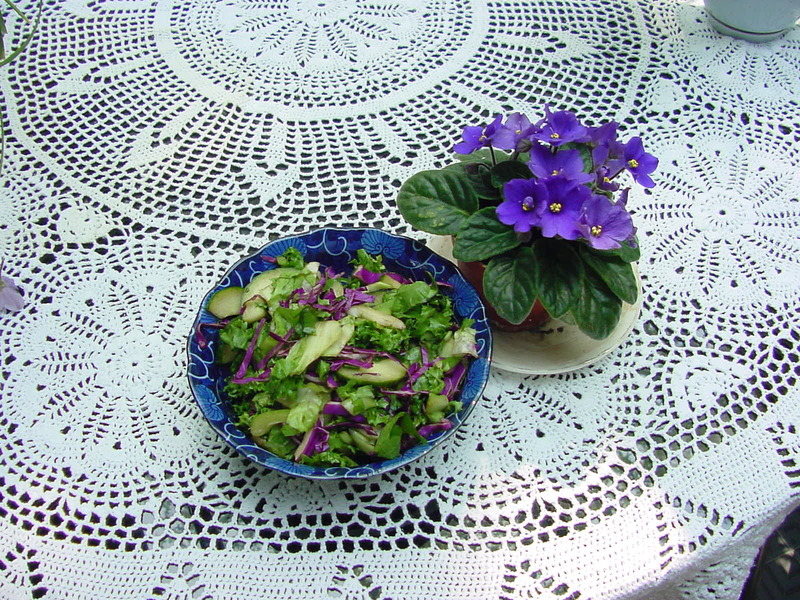 Now you have prepared a wonderful summer lunch.